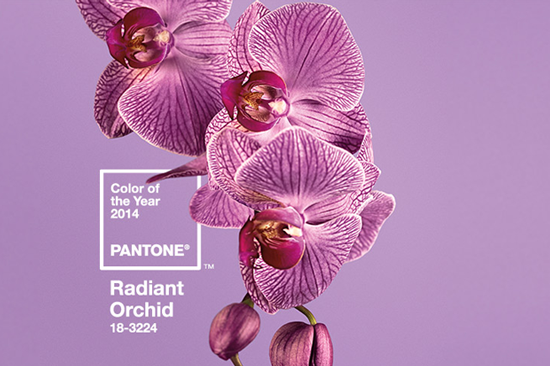 Each year, Pantone, the world’s top color house, picks their top color—this year, it’s Radiant Orchid. We’re loving the feminine, sensual qualities of this gorgeous hue. 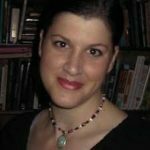 For some, it might be a little too over-the-top to use in great amounts in their living spaces. 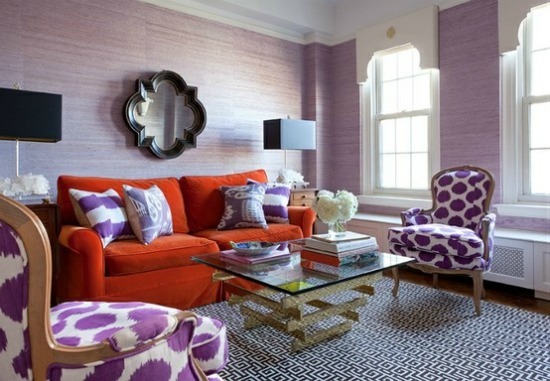 For others, it’s a refreshing invitation to incorporate a vivid, vamped-up color into every room. 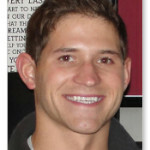 No matter which camp you fall into, you have to admit this color is beautifully bold and appealing. Here radiant orchid is applied to the walls and toned down with a striated treatment, deeper purple finds its way onto the armchairs and toss pillows. 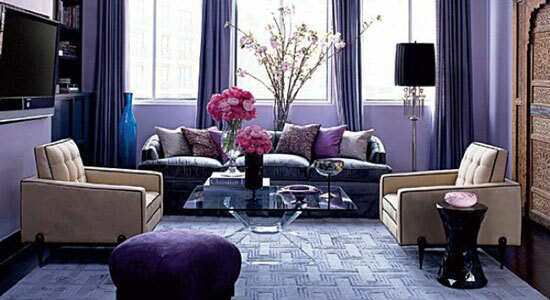 This year’s top color is taken to the blue side with navy and purple complimenting orchid walls for a sophisticated appeal. 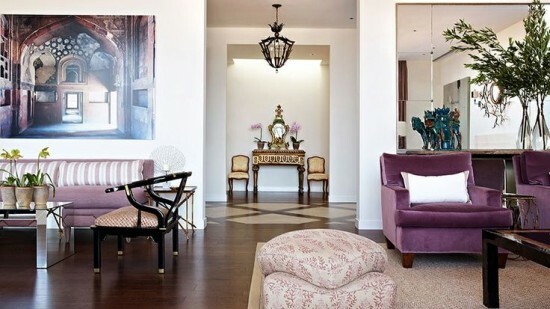 Crisp white walls and natural wood tones balancing the vibrancy of orchid velvet armchair and sofas for an elegant and refined look. This master bedroom takes the use of radiant orchid to new heights with a color wash from ceiling to floor. 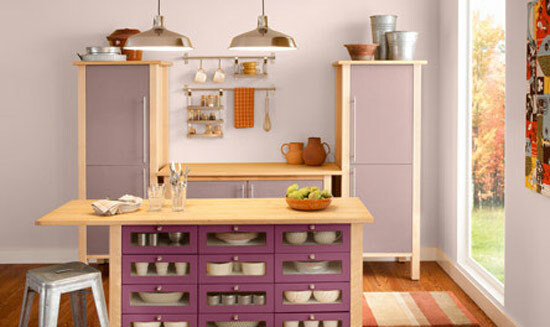 A contemporary country kitchen makes a statement with eye-popping orchid and lilac on kitchen island and storage units. 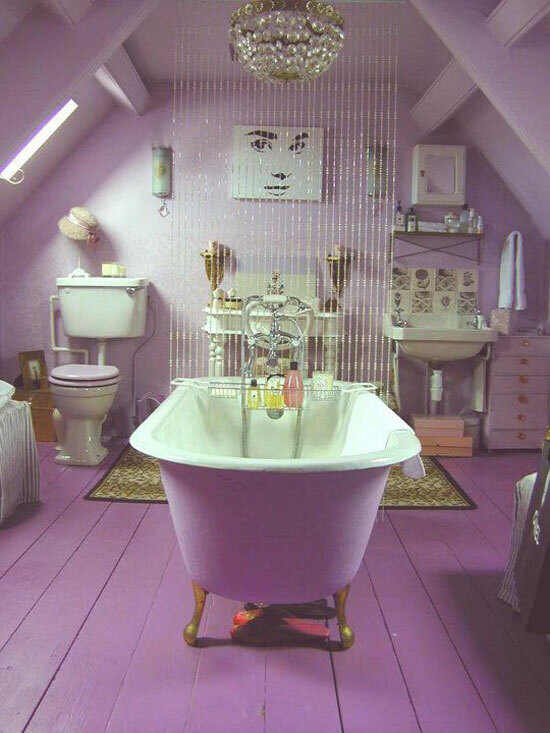 A vintage bathroom takes radiant orchid to the extreme with floorboards and even tub awash in this decadent hue.